This blog by Kate Donald, Director of CESR's Human Rights in Development Program, was originally published by the Health and Human Rights Journal. 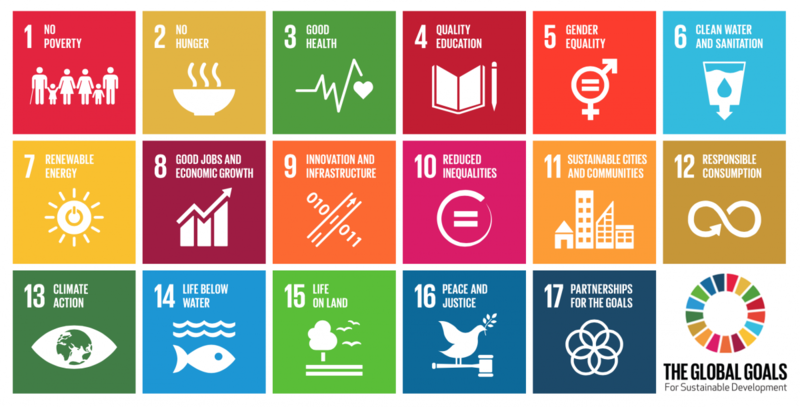 From a human rights perspective, there is little doubt that the new Sustainable Development Goals (SDGs) are a huge improvement on their predecessors, the Millennium Development Goals (MDGs). However, there is one critical area where it seems lessons from the MDG era have remained frustratingly unlearned: accountability. Amid the fanfare of the SDGs’ adoption in September 2015, it was easy to focus on the goals and targets themselves, and overlook the three pages hidden deeper into the ‘2030 Agenda’ which are intended to outline a framework for ‘follow-up and review’. Despite some important references to state-citizen accountability, participation, and respecting human rights, the vision is astonishingly vague and timid. The document offers no clear picture on how SDG progress will be monitored and reviewed or what the lines and channels of accountability will be, and includes only very tentative and under-ambitious proposals and guidelines. This is not an accidental omission. Throughout the negotiation process, it was clear that there was very little political will for underpinning the new agenda with accountability. From the very start, many government representatives displayed a conveniently narrow understanding of accountability, claiming that it could not possibly be relevant because the goals would not be legally binding. These reservations led the ‘monitoring and accountability’ chapter to be renamed ‘follow-up and review’. Further into the negotiations, some states tried to end the use of the ‘A word’ entirely, and warned ominously that ‘finger-pointing’ and ‘naming and shaming’ would be counterproductive. As the Center for Economic and Social Rights (CESR) has argued since we co-published Who Will be Accountable? in 2013, underpinning the new agenda with a web of accountability mechanisms is essential to ensure the new commitments are credible and honored in practice. Unfortunately, despite constructive proposals and strenuous advocacy from civil society, these ideas remained politically unpalatable. Some states (including many EU countries, Mexico and Peru) did champion more robust accountability arrangements, but the consensus was against them and no one state or negotiating bloc with real leverage power was willing to make the issue a priority or red line. As a result, in the haggling over final language, the mere suggestion that countries may conduct a review of progress at least every four years was removed. It is indeed a sorry sign that this was considered too ambitious. Some countries (in particular those with a history of receiving aid accompanied by a laundry list of onerous conditionalities) see any monitoring that takes place beyond the national level as infringing their sovereignty and policy space and exposing them to scolding from rich countries and the UN. This has made the negotiations over the global level of SDG ‘follow-up and review’ (which is envisaged to have national, regional and international components) all the more difficult. There is already a designated forum for the purpose of reviewing SDG progress and challenges: the High-Level Political Forum (HLPF), which was established at the Rio conference in 2012 and has been a somewhat aimless annual gathering at the UN since 2013. This year, it will assume its real purpose; but it is still unclear what form the reviews and discussions might take, and whether they might be able to deliver anything approaching accountability. There will be thematic reviews on goal areas and cross-cutting issues such as inequality and health; as well as country reviews where specific countries will step forward to discuss their progress and challenges. However, their efficacy and meaningfulness will likely be severely constrained not only by their voluntary nature, but also by the fact that the HLPF only meets for eight days each year and is hugely under-staffed and under-resourced. Although the rhetoric from decision-makers is strongly welcoming of civil society participation in the HLPF reviews, it remains to be seen what this might mean in practice. It now seems unlikely, for example, that civil society will be given an official channel to submit ‘shadow reports’ which might complement or call into question states’ official presentations. Without consideration of such independent accounts, the legitimacy of these reviews will be highly questionable, and may not rise above the level of the MDGs’ toothless ‘Annual Ministerial Reviews’, which amounted to little more than a best practices showcase. The process to develop global indicators has also delivered warning signs that measurement of progress at the global level may well distort and undercut the priorities enshrined in the SDGs, especially the more contentious ones around resources, inequality and governance. Many were counting on the UN Secretary-General to deliver a shot of ambition with some innovative new proposals on how the HLPF reviews might operate. However, on first analysis his recently published recommendations remain somewhat lackluster. For now, it is wise for civil society to dedicate energy to developing innovative and ambitious accountability mechanisms (and indicators) at the national level. Here too, some governments will inevitably drag their feet, but pressure from advocates and activists could make a real difference. Health is a thematic area (and of course a stand-alone SDG) where there are perhaps the most promising precedents to build on. This is true both at the global level—see for example the Commission on Information and Accountability for Women’s and Children’s Health, discussed by Paul Hunt—and at national/local levels, where social accountability initiatives focused on health services have proliferated in recent years led by communities, civil society and occasionally government actors. It will also be imperative to pay close attention to the accountability gaps above and beyond the state where the deficits are particularly acute. For example, the role and impact of the private sector will require special vigilance especially given the uncritical fervor many governments are adopting for Public-Private Partnerships in development. Meanwhile, in our globalized world the transnational ‘spillover’ impacts of one country’s policies (for example, tax, trade, environmental or investment) on another’s development can be profound, and some measure of awareness and accountability is desperately needed in this arena. The years 2015-2030 offer an unmissable opportunity to address the accountability gaps that have plagued development policy and practice for decades. For civil society and social movements, there is a lot of hard work to be done to ensure the potential of the SDGs as a vehicle of human rights realization and accountability is not squandered.